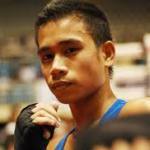 Amateur Boxing Association of the Philippines (ABAP) Executive Director Ed Picson reported through his Twitter that lone Filipino boxing Olympian Mark Anthony Barriga will face Italian Manuel Cappai in the first round. The preliminary bout featuring the Filipino versus the Italian national champion will be on July 31 (August 1 Philippine time). Cappai gained a ticket to London during the European Qualifying winning the bronze medal after losing to Aleksandar Aleksandrov of Bulgaria, 5-9, in the semi-finals. During the said tournament, Cappai beat Koryum Soghomonyan of Armenia, 13-10 in the preliminaries, then defeated Lukasz Maszczyk of Poland, 19-8, in the quarterfinals, before bowing out to Aleksandrov. In contrast, Barriga qualified by landing among the top ten, placing ninth, in the more prestigious AIBA World Boxing Championships. He won over Stefan Caslarov of Romania, 12-5, in the first round, and defeated Paddy Barnes, 20-12, in the second round, before bowing to eventual gold medalist Zou Shiming of China, 5-12, in the quarterfinals. Barriga trained in Cardiff, Wales and impressed local as well as international coaching staff and spectators. Picson accompanied Barriga with coach 1992 Barcelona Olympic bronze medalist Roel Velasco. They were welcomed and treated hospitably by the Filipino community in Cardiff. Picson further twitted that Barriga “looked calm and composed” on the trip from Cardiff to London. Mark is said to be peaking as scheduled but they are not taking anything for granted. “With luck he can make some waves in the Olympics,” commented Picson. The amiable ABAP executive director said that the boxing competition is the longest in the Olympics spanning 16 days with 79 countries participating, including 286 boxers, 219 coaches, 35 referees/judges. Picson said they waited for a long time for their turn for the Parade of Nations at the stadium during the opening ceremony, wearing barong and salakot. He was very happy to see his two idols Paul McCartney and Muhammad Ali. Barriga was busy taking pictures with the NBA superstars and had his pic with Kobe Bryant taken by Picson. Good luck Mark Anthony Barriga. The whole country is with you.